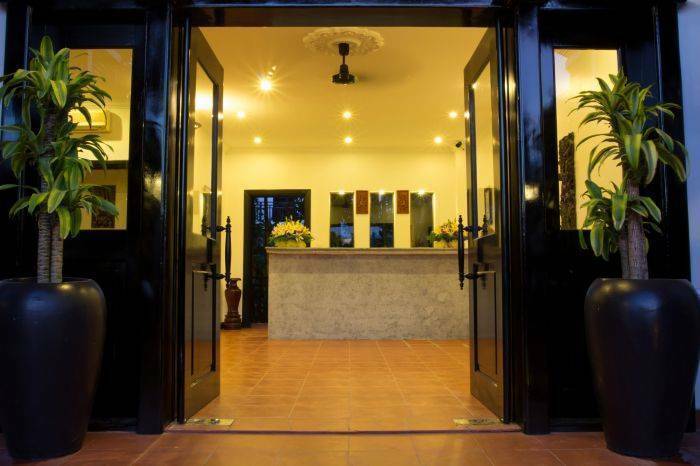 Our Hotel offers complimentary round trip airport and high speed Wi-Fi connection and free unlimited shuttle services to The Old Market and Pub Street. 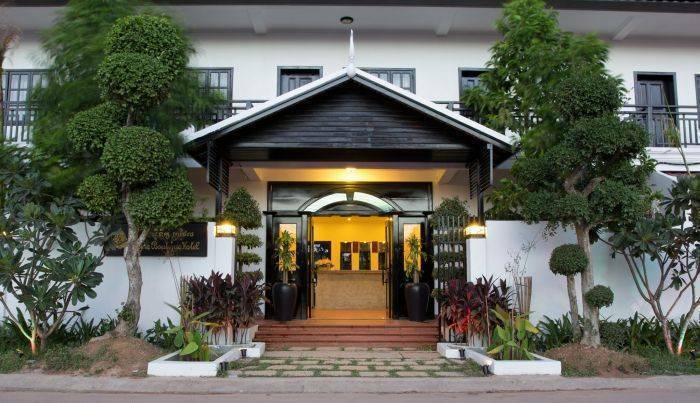 The hotel is only 3 minute drive from The Old Market, Pub Street and Angkor National Museum. 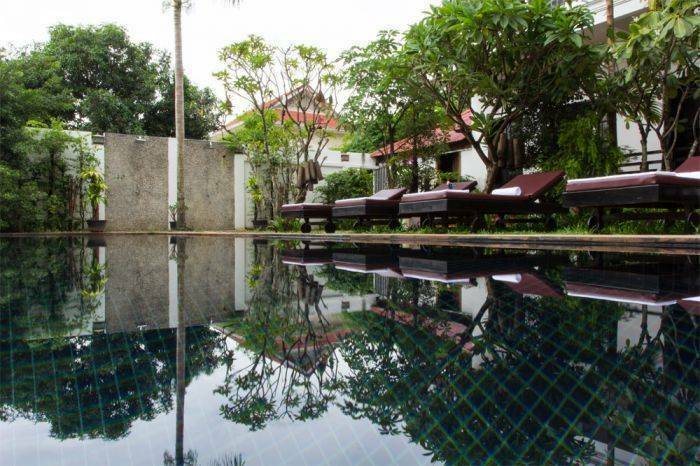 A 15 minute drives from Angkor Wat Angkor and Siem Reap International Airport. 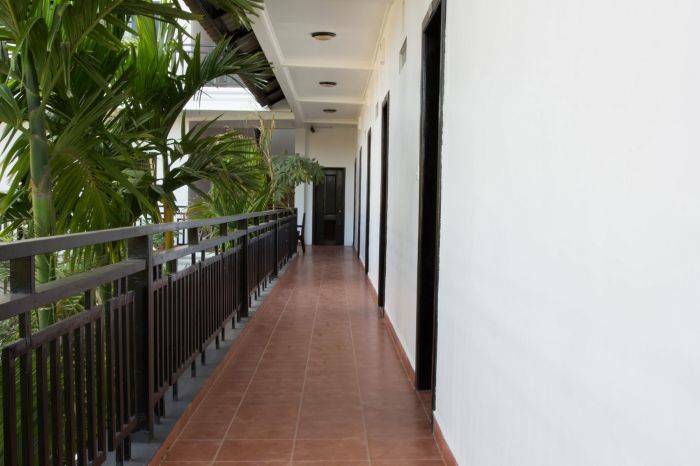 The hotel features 26 beautifully appointed guest rooms, each including balcony/terrace, separate shower and tub, mini bar, shower, in room safe. 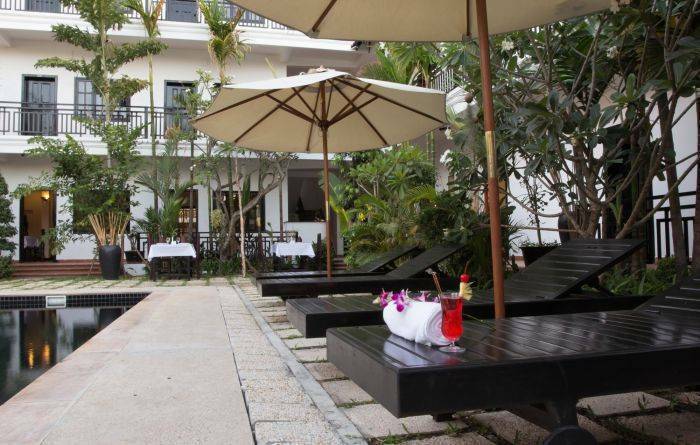 The hotel offers wonderful recreational facilities such as outdoor pool, massage, garden to make your stay truly unforgettable. Concierge service is also available at the hotel. All rooms are wonderfully subdued colors and ample natural light. 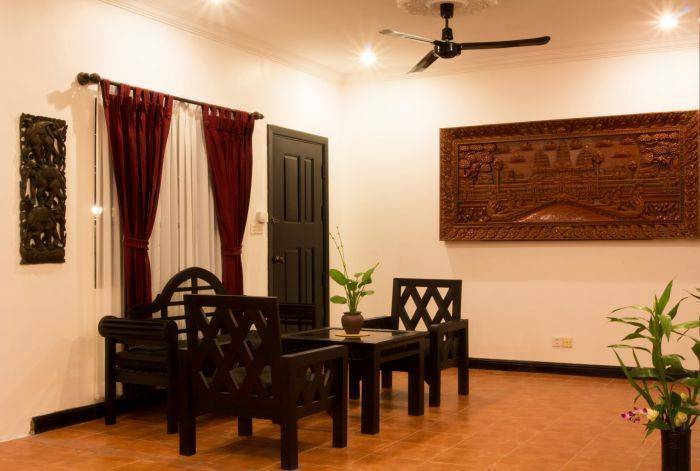 They are spacious and have pool view with man-made furniture and local products to decor. They are configured as Single, Twin, Double and family occupancy. Tourism is actively potency to help local communities’ workshop, handcraft training centers and non-profit organizations. Thankfully, National and foreign tourism have inspired this provincial hospitality industries to upgrade their businesses and offer quality service to guests. Residents will be discovering a diverse selection of all day dining options. Our chef produces option of Khmer foods and international cuisines with endless culinary taste. Relaxing in an ideal environment with choices from beverages selection, or sipping the cocktail while surfing internet at the rest time of your day. If cancelled or modified up to 3 days before the date of arrival, no fee will be charged. In case of no-show, 100 percent of the whole will be charged.